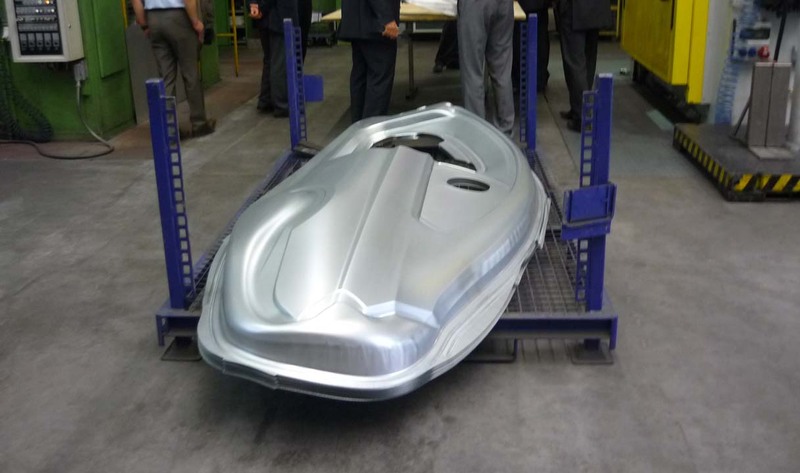 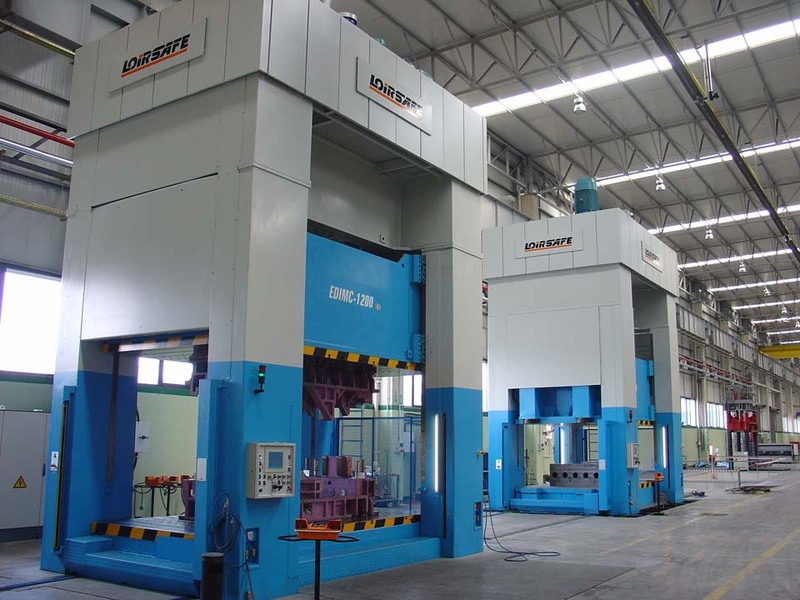 We offer our clients presses for testing and trying dies and moulds so that they can make prototypes and produce pre-series as customised as they wish and with complete support from our professional team to achieve the required results. 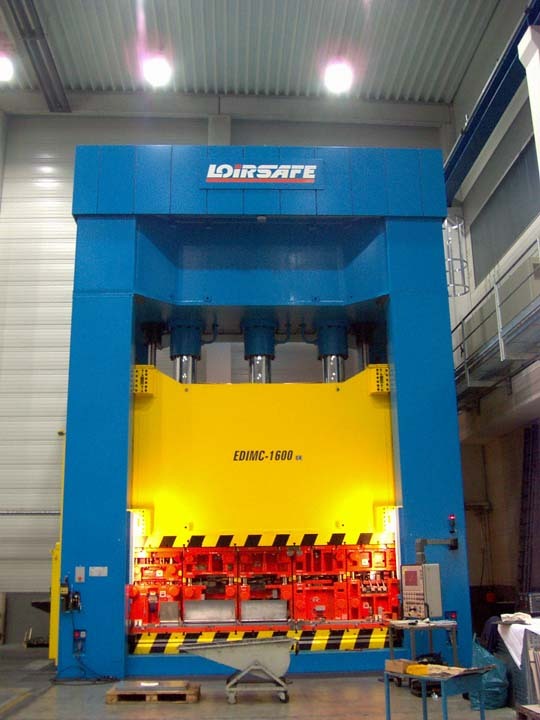 30.000 kN Hydraulic Press with front moving bolster. 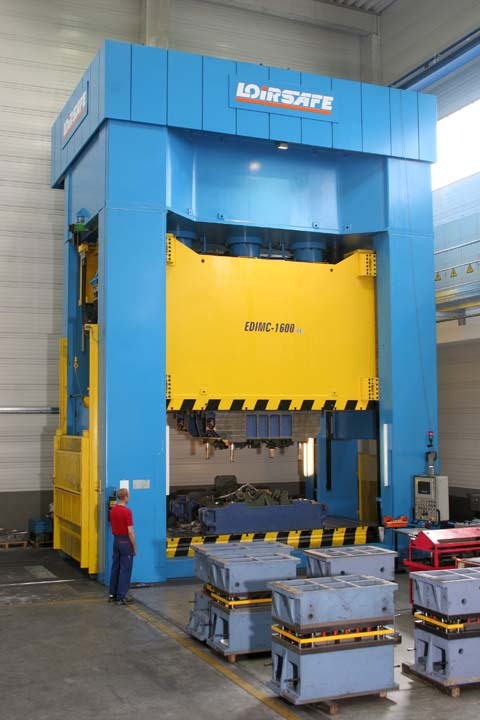 25.000 kN Hydraulic Press with front moving bolster. 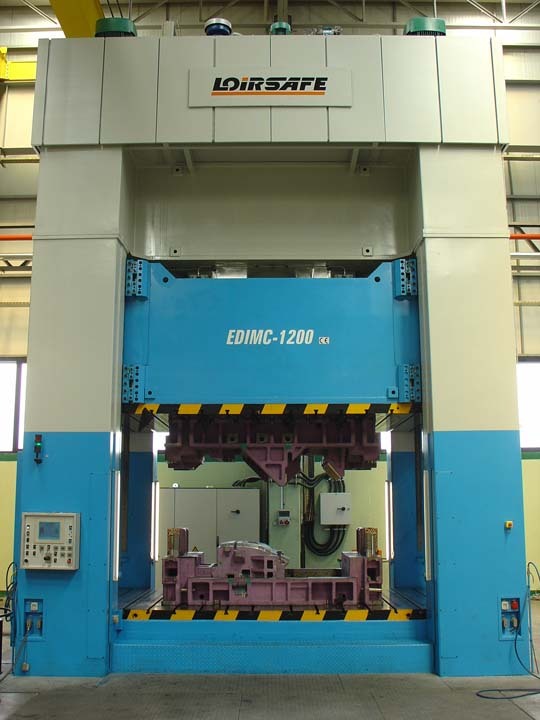 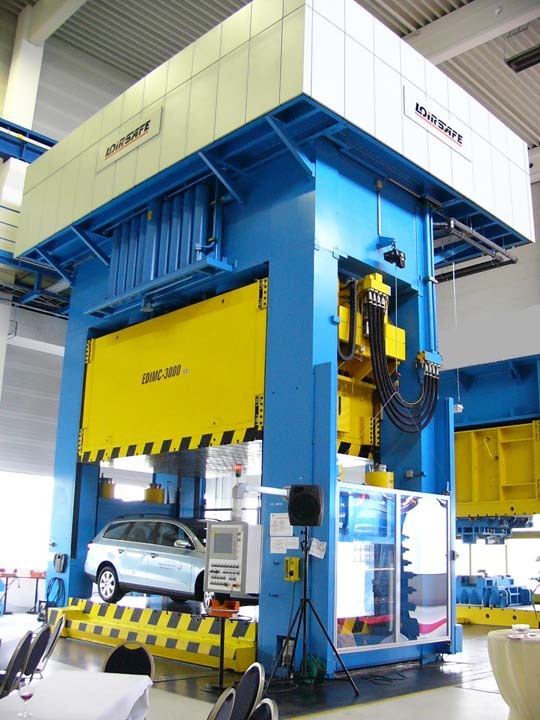 22.500 kN Hydraulic Press with front moving bolster. 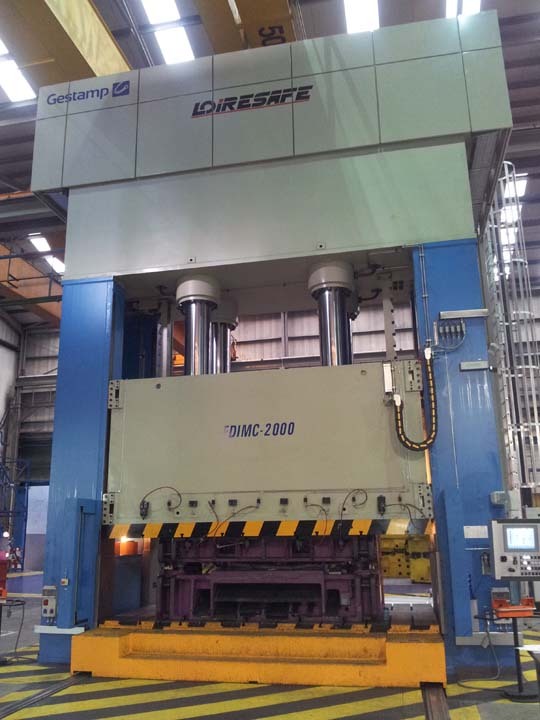 20.000 kN Hydraulic Press with front moving bolster. 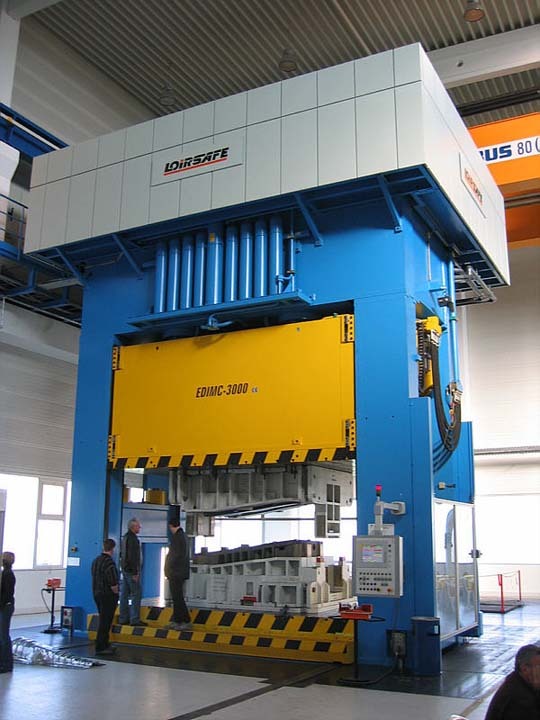 16.000 kN Hydraulic Press with side moving bolster. 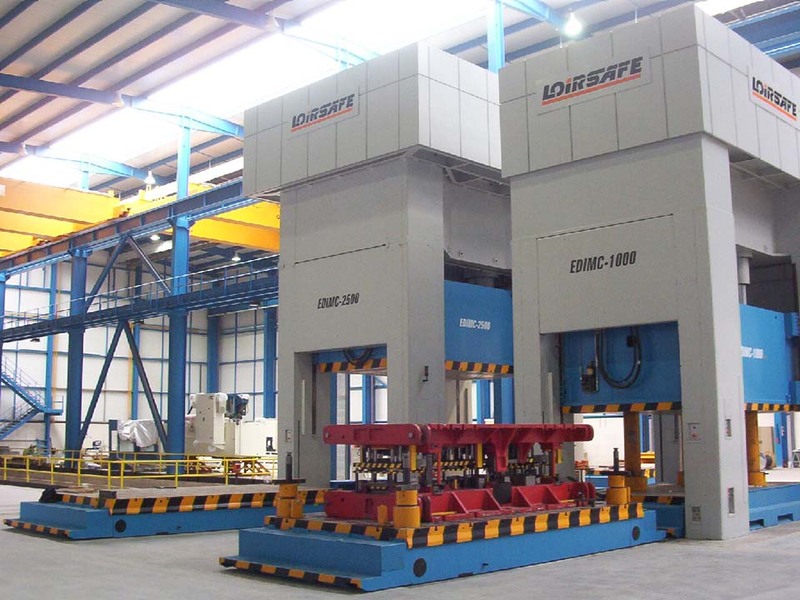 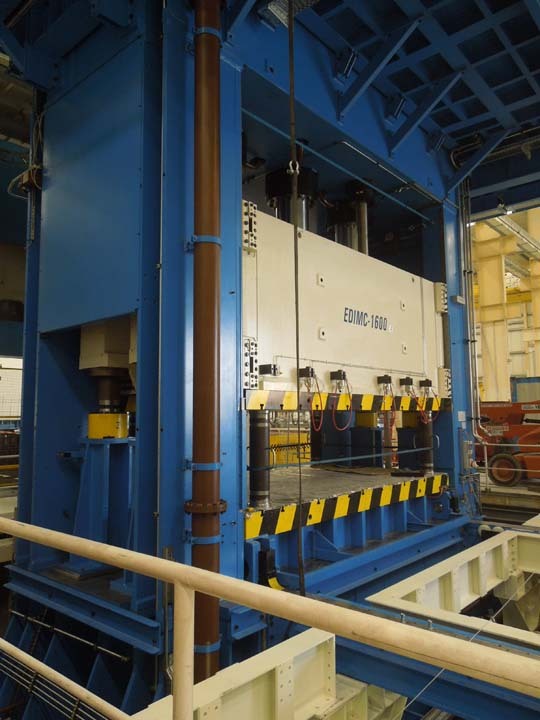 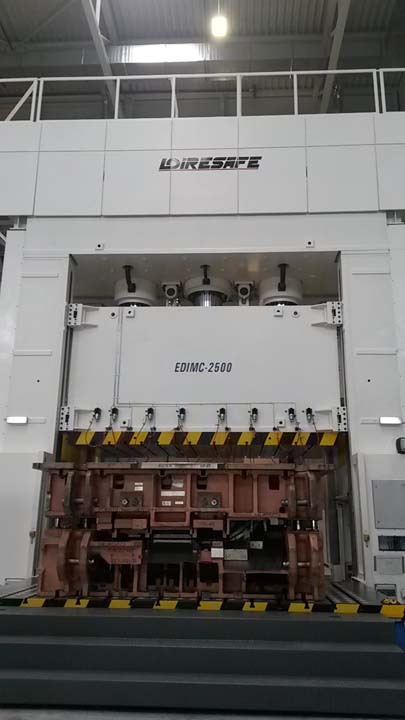 Line with two Hydraulic Presses (one 12.000 kN and one 8.000 kN) with side moving bolster. 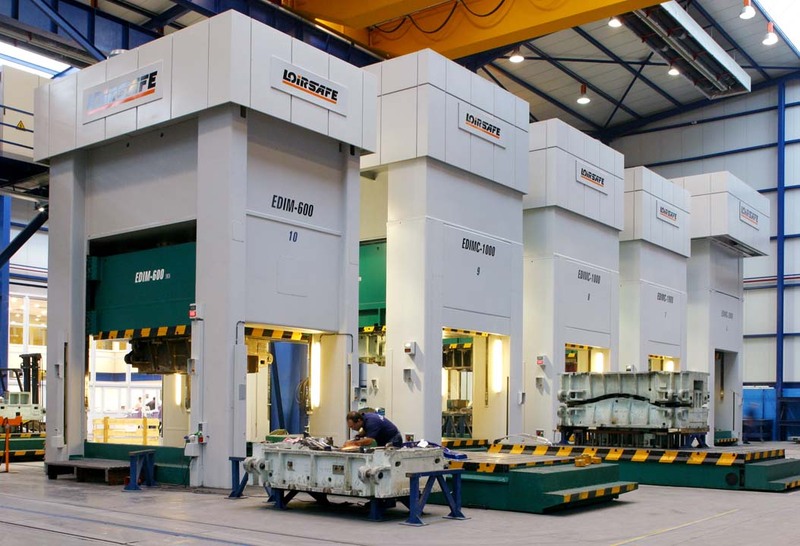 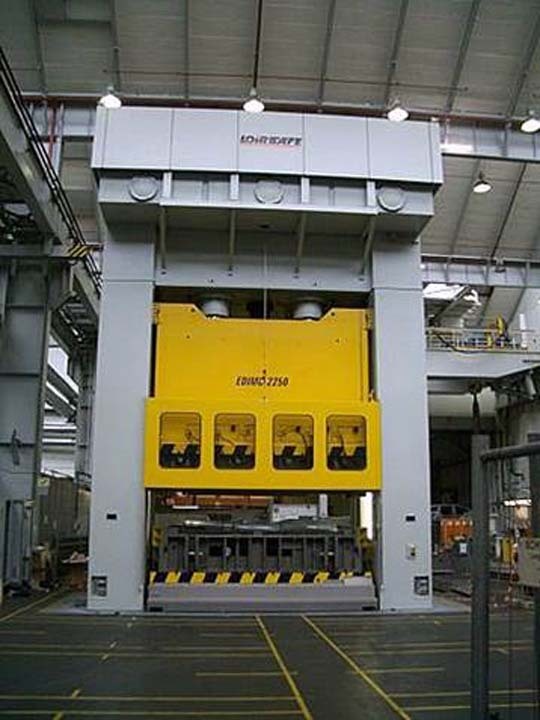 Line with two Hydraulic Presses (one 20.000 kN and one 12.000 kN) with side moving bolster with side moving bolster and one 800 Tons Hydraulic Press with front moving bolster. 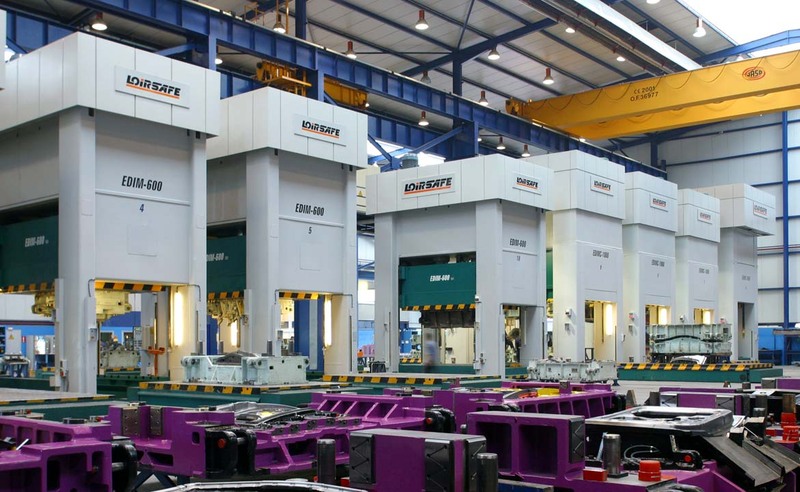 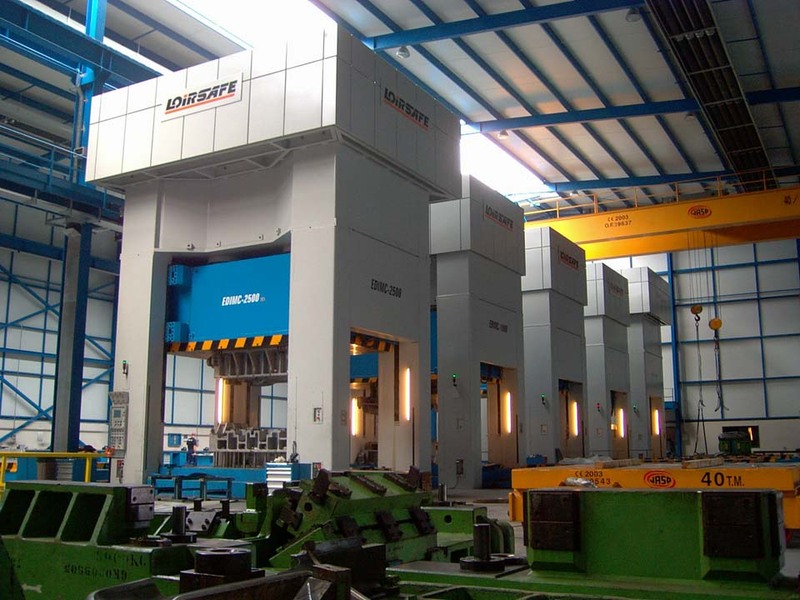 Line with ten Hydraulic Presses (one 25.000 kN, two 10.000 kN , one 8.000 kN , two 20.000 kN , three 6.000 kN and one 16.000 kN) with two side moving bolster per press. 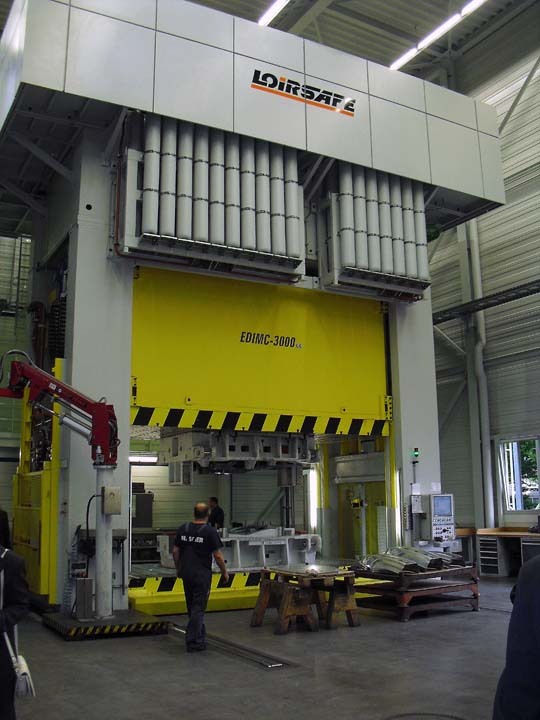 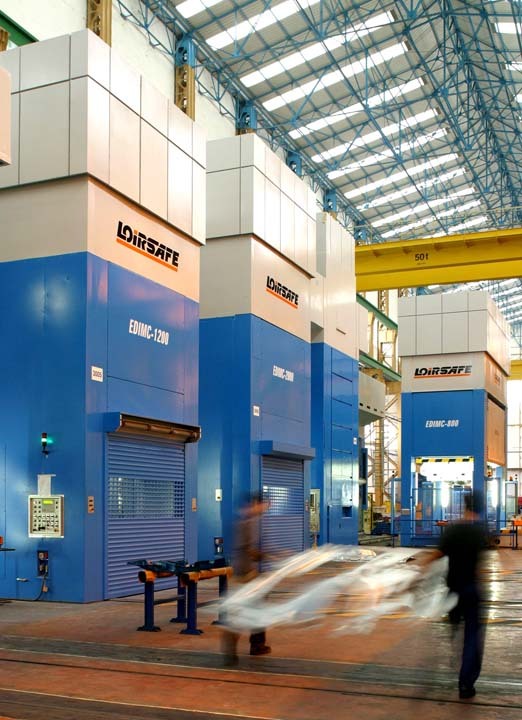 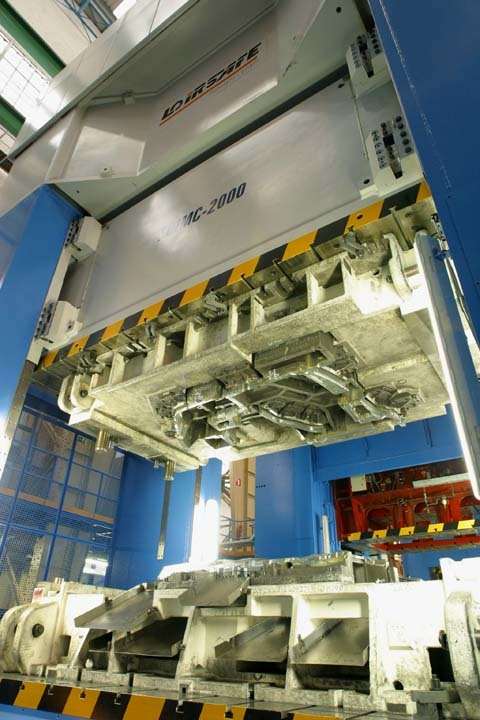 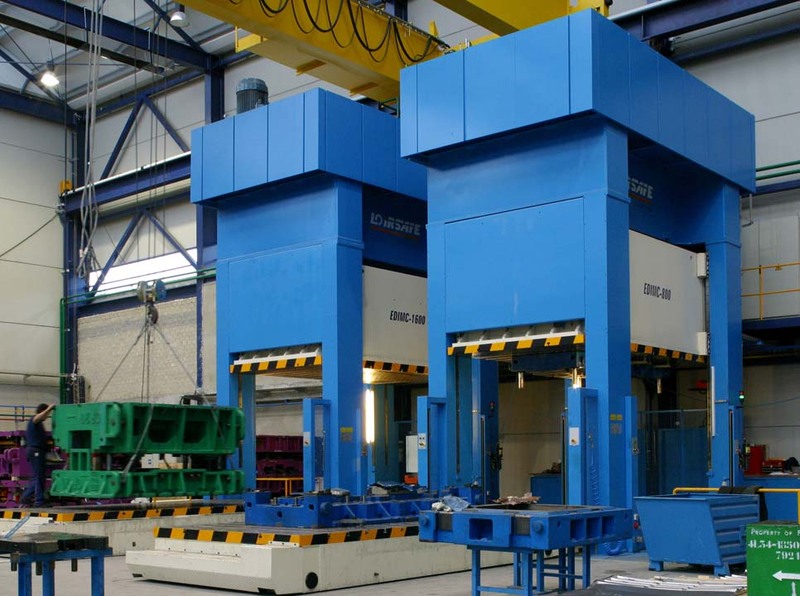 Line with three Hydraulic Presses (one 16.000 kN and two 8.000 kN) with side moving bolster. 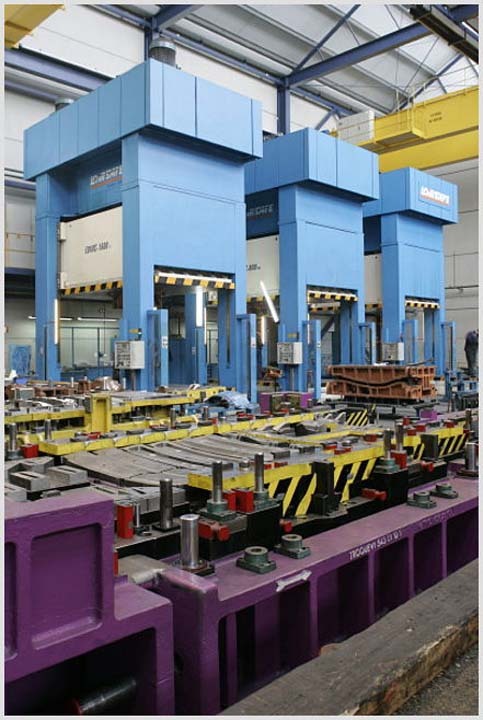 Line with five Hydraulic Presses (one 25.000 kN, three 10.000 kN and one 20.000 kN) with two side moving bolster per press.